I love to do crafts with my daughter Gemma because she gets SO into them.. super focused, so I know it must be good for her. 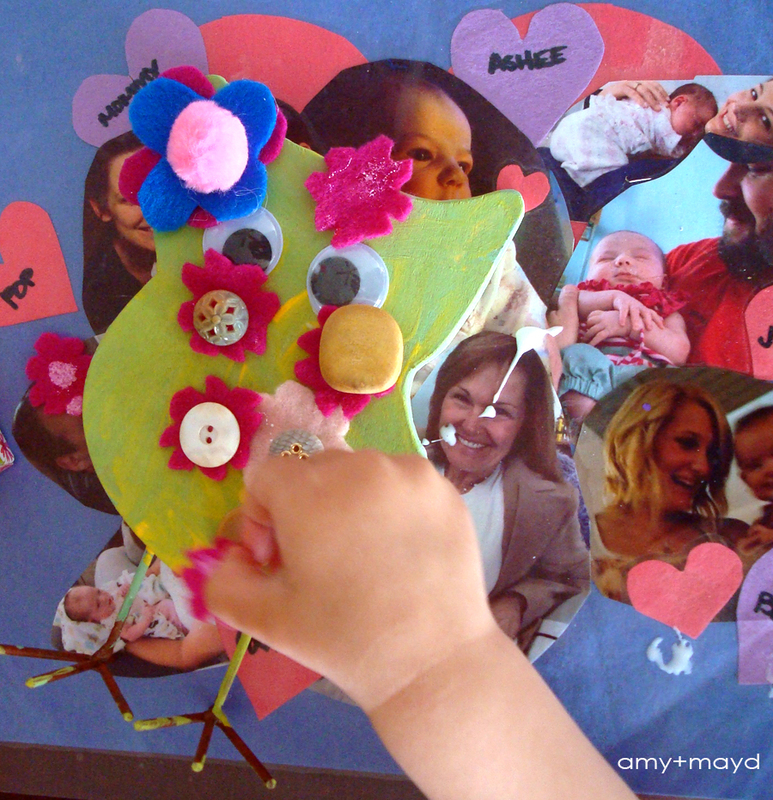 A lot of times a craft can be way overwhelming for a toddler though so this is how I simplified this cute little masterpiece! I do projects with Gemma in phases, so for instance, with this owl art piece, a few weeks ago I let her paint it a variety of colors. This first phase kept her busy and turned into a really beautiful green after she mixed colors together for about a half hour. 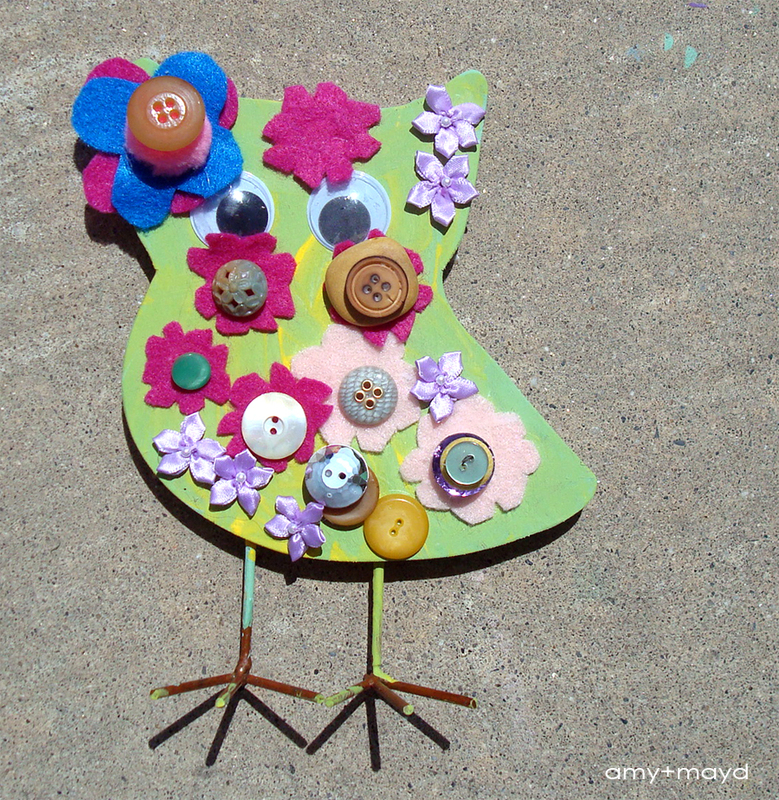 And this week, I let her pick a cup full of buttons from my collection and got out some big eye balls and made her a few felt flowers. With all of the small pieces to choose from, she had a great time glueing and stacking (and developing her fine motor skills)… this arrangement is her own.. although I did help her with the eye placement. I think Mr. Owl turned out pretty great and we’ll put it somewhere in her room that is owl themed. 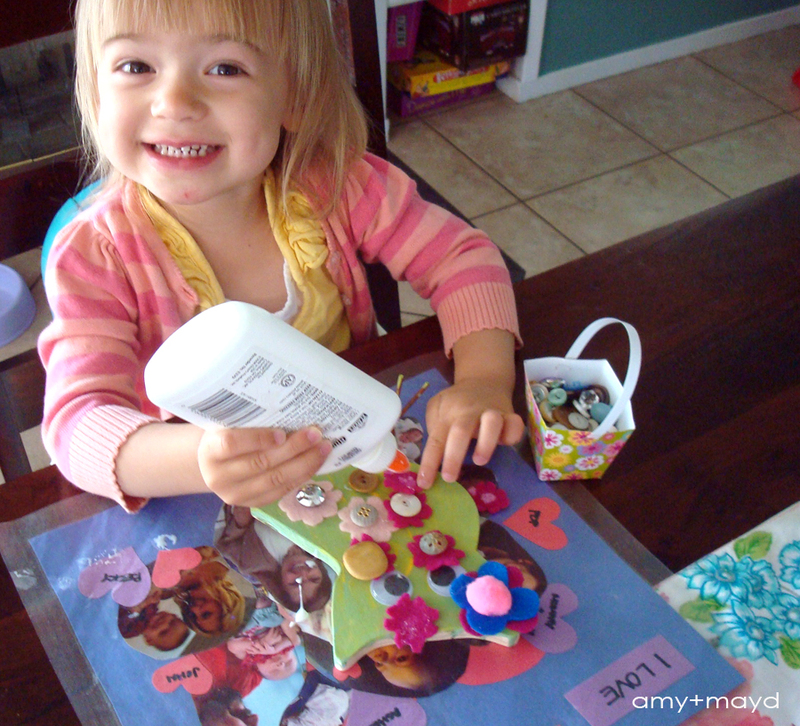 Do you like doing crafts with your toddler? Any tips for keeping it simple?